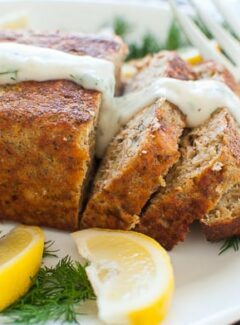 I made this perfect salmon loaf with Chicken of the Sea Pink Salmon. It turned out lovely and tastes great. A real family pleaser of a recipe. First, I figured that the vegetables were chopped too coarsely. To fix that is easy…just chop them up smaller. Then, I read that having a little more oil in the mixture helps to hold the meat together. I used 2 tablespoons of butter to saute and soften the vegetables. The softened vegetables insured that they would mix in well with the salmon and subsequently, cut easily. Secondly, is soaking the cracker crumbs before they are mixed in. It makes sense that dry crumbs could leave dry spots that wouldn’t hold together well once baked. 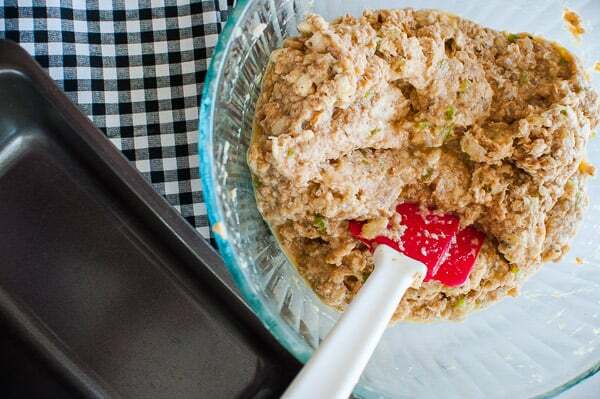 Use the liquid from the salmon can for extra salmon flavor. Thirdly, break up the salmon really well so it mixes well with the other ingredients. To do this, I used a pastry cutter. A fork would work too, just take the time to get the salmon separated into small pieces. The photo below shows the mixed ingredients and the salmon is like a thick batter. Finally, I used Crisco to grease the loaf pan. It made the salmon loaf fall right out onto the platter. On my first attempt I used cooking spray and had some of the crust stick to the pan. I wouldn’t recommend using butter since it may burn. Also, carefully pressing the salmon mix into the loaf pan assures there will be no air pockets which may cause the loaf to not cut well. I recently ran across a well thought out article on preparing salmon that you should look at to learn more about salmon. 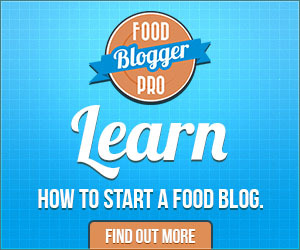 It is from the website quickeasycook.com by Lita Watson. The article is “How to Cook Salmon 10 Ways.” Click on the link to take a look. I let the baked salmon loaf rest for 5 minutes before turning it onto a platter. The exterior had a really nicely browned crust. Best of all, the loaf held together beautifully when cut. This will also be good for leftover salmon sandwiches. If you’d like to make a dill white sauce, make a roux with 2 tablespoons of butter and 2 tablespoons of all purpose flour. Whisk in 1 1/2 cups of milk and simmer for 3 or 4 minutes, add a pinch of salt and pepper and around 2 teaspoons dried dill or a tablespoon of chopped fresh dill. If you like salmon and need some other ways to fix it, try one of these recipes: Salmon Patty Sandwiches, Foil Wrapped Baked Salmon, Slow Baked Dill and Citrus Salmon. This is a dish packed with protein, healthy fats, vitamins D and B12 and a can of Chicken of the Sea salmon cost me $2.09. This is a bargain for such a great tasting meal. Give it a try. 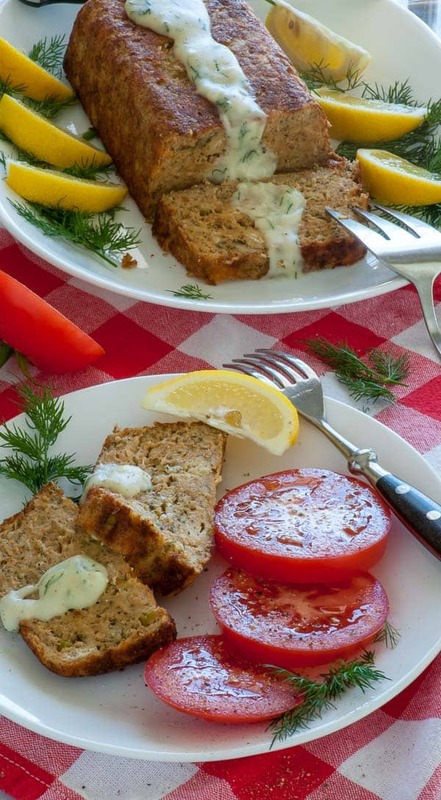 Salmon loaf which is so economical and tastes so darn good. You can make sandwiches out of any leftovers too. Grease a 4" by 8" loaf pan with Crisco or spray well with cooking oil. Remove from the oven, rest for 5 minutes, then turn over onto a serving platter. Love this recipe made with pantry ingredients. Better than my Mom’s! Excellent. 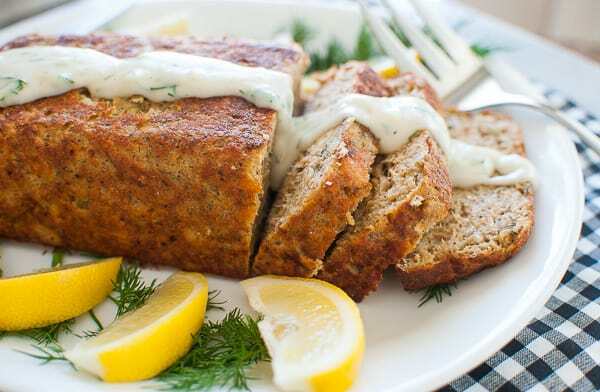 This will be THE only salmon loaf recipe I will use from now on. Delicious!!!! Thanks for the nice comment Deborah. Hi Barb, It would be fine to freeze leftovers. I’m not sure about mixing it up, then freezing before baking. That probably would not produce the best results. Great recipe! If you want no-carbs substitute the crackers with deep fried pork rinds, it worked great. Joe your salmon loaf was great. I will be making more off your recipes thanks again. This is a hit…best recipe ever!!! Can i use flavored bread crumbs? Hey Marilyn…I think flavored crumbs would be just fine. The salmon itself has a lot of flavor and can handle extra flavorings. I made this salmon loaf tonight and followed the recipe exactly. 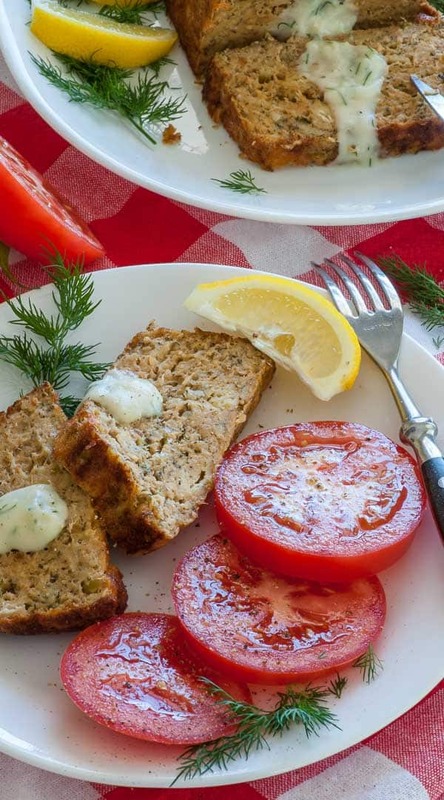 It is the best salmon loaf I’ve ever made and will keep this as my go-to recipe. It was moist and held together beautifully. The dill sauce made it complete upon serving. Thank you Joe for sharing your recipe. Thanks for the nice comment Suzie. Glad you liked it. Can I use panko in place of crumbs? Hi June. I would think a cup of panko would be fine to use. Thank you Joe, now we know what to do with that can of salmon that has been sitting in our pantry. Alan, I think you will love it.